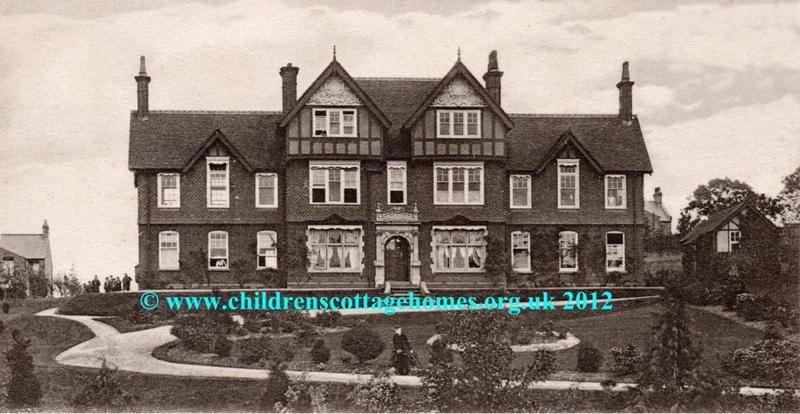 This children's home was initialy opened in 1889 but was very soon moved to the building above which was purpose built on London Road, Luton. The foundation stone was laid in July 1893 by Lady Battersea and the home was formally opened the following year. The building was funded by voluntary contributions largely aided by the Children's Guild of Kindness. It closed in perhaps the 1970s. "Some archives, mostly endowment and investment papers, survive at class HOLC here. Of special note are the annual reports (incomplete set) 1894-1935) ref: HOLC25 and a patients' register, 1889-1920 (ref: HOLC26). This last is closed until 1 January 2021 (last date plus 100 years) under Data Protection Rules. Original building plans and specifications also exist: ref X 843/1/21a and X 843/2/10a-b"